No small, furry friend should be terrorised like this. Animals are cherished companions, not jewellery. This cruel practice is growing amongst the 'inkie' population a d needs to be stamped out. Let's see a return to decent, Christian values in regards to our pets. 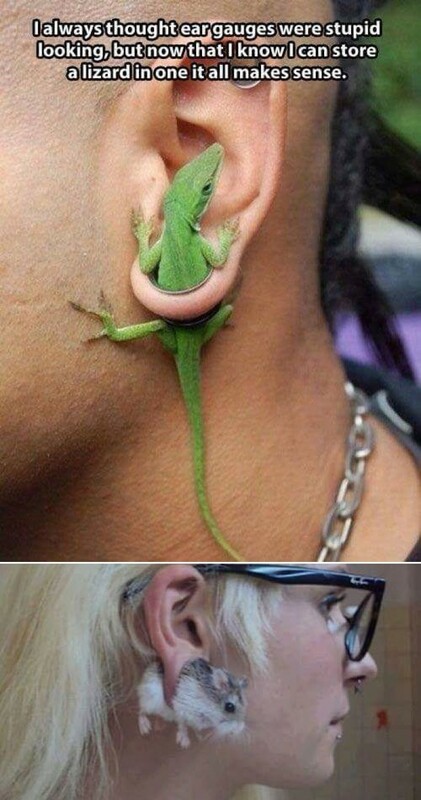 "I always thought ear gauges were stupid looking, but now that I know I can store a lizard in one it all make sense."